For decades, the vocabulary used to describe Asia’s torrid economic growth has been plucked from a dictionary of the divine or the language of myth. The region’s success over the past 50 years in lifting so many people out of such dire poverty in so short a time has been often described as a “miracle” of Asian “tigers” and “dragons” and “elephants.” Even the inconvenient truth of the Asian financial crisis of 1997-98 did little to stop the course of Asia’s economic rise. But what a difference a color can make. Asia’s growth, for the most part, has been decidedly “brown,” not “green.” What appeared made in heaven has been bad for the earth. Asia is home, for example, to a host of the world’s most polluted cities. At current rates of energy consumption and greenhouse gas emissions, the region could easily tip the world into catastrophic climate change in the years ahead. The time for a switch to green growth is now. But as December’s climate change conference in Copenhagen made abundantly clear, the path from “brown growth” to “green growth” will be difficult and fraught with contention. 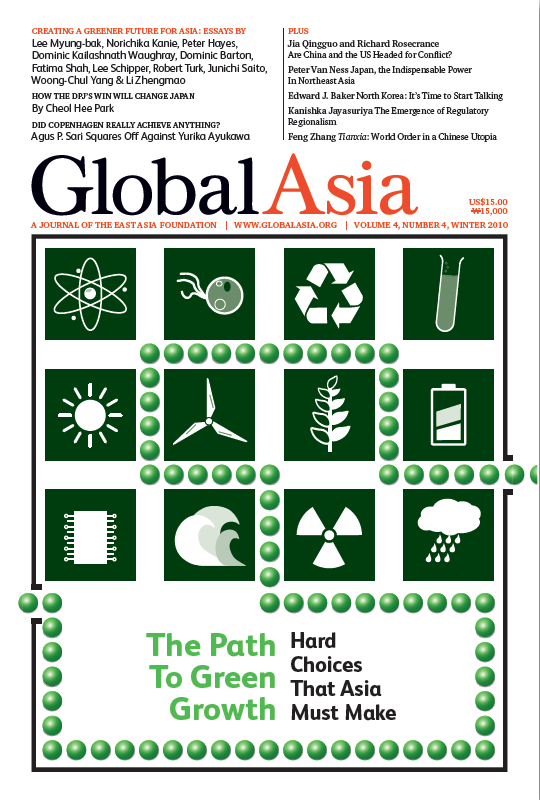 In the cover story of this issue of Global Asia, we look at the difficult challenges ahead for Asia as it seeks a path to green growth. We are especially pleased that South Korean President Lee Myung-bak accepted our invitation to write a piece on his government’s green growth strategy. No other government in the world is investing as much on green growth as South Korea — 2 percent of its gross domestic product. We have also assembled a series of experts to look at a range of issues related to green growth in Asia. Elsewhere in this issue, we feature a debate on what the Copenhagen conference really achieved; essays on what the recent victory of the Democratic Party of Japan, after almost 60 years of rule by the Liberal Democratic Party, will mean both domestically and internationally; whether the rise of China will lead inevitably to a conflict with the US; why it’s important for the administration of US President Barack Obama to engage North Korea; and how an increasing web of public-private partnerships is fostering a new kind of regionalism in Asia. Finally, we offer a fascinating review of the Tianxia system of Chinese philosopher Zhao Tingyang, a potent reminder of the importance of following debates within China about its emerging role in the world. We also believe it is important to make available to an English-speaking audience significant writings in Asia that might not yet be available in English translations, as is the case with Zhao’s two books. If you would like to contribute to Global Asia, please send your articles or proposals to us at editorial@globalasia.org. 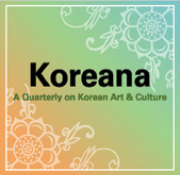 We welcome inquiries about possible articles, so please do write us. Nothing short of a paradigm shift will stop Asia’s powering growth from eventually tipping the world into a catastrophic spiral of climate change. From governments to businesses to civic groups to individuals, Asia must embrace a new path to green growth to save the planet. South Korean President outlines how nations can embrace a new economic model — green growth — not as a wanton response to the international pressure for carbon mitigation, but as a reflection of respective national capability and political will. Much of the public and policy-making discussion of climate change has focused on the need to reduce CO2 emissions. What gets less attention is the fact that a move away from fossil-based fuels could herald a dramatic change in the international order. Every so often in history a technological innovation emerges that has a transformative effect on human civilization. Nautilus Institute Director looks at some of the possible technological breakthroughs. With Asia's breakneck economic growth increasingly threatened by further damage to the environment, World Economic Forum executive argues that adding a uniquely “bottom-up” dimension to Asia’s environmental management strategy. Asian business leaders could reap significant competitive advantages from the coming shift to a green model of economic growth. The new model will use resources more efficiently and demand major capital investment. In disparate corners of the business world, three firms, Fujitsu, Hyundai, and China Mobile are pioneering solutions to the challenges of sustainable development. Can Asian Cities Be Both Green and Resilient? With its many coastal mega-cities, Asia is poised to suffer disproportionately from the negative effects of climate change and the consequent rise in natural disasters. The World Bank's Fatima Shah looks at strategies and alternatives. Asian nations desperate to find ways to cope with the clogged roads and foul air in their cities should not despair, says transport scientist Lee Schipper. Asian car ownership overall is tiny compared with the US and Europe. The past decade has witnessed a steady increase in the need to address environmental considerations as part of the design process for commercial and residential buildings. A consultant on sustainable building practices looks at the eco-friendly design. 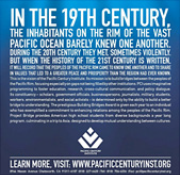 Did Copenhagen Really Achieve Anything? While it is tempting to describe the Copenhagen climate change conference as a failure, the accord that emerged from the conference still succeeded in sending important messages about the battle against climate change. The climate change conference in Copenhagen was a total failure. What was expected was a binding legal agreement that would set ambitious targets for carbon emissions reductions from individual countries. Delicately Poised: Are China and the US Heading for Conflict? As the balance of power between China and the US narrows with China's rise, many observers fret that armed conflict could ensue. But Jia Qingguo and Richard Rosecrance argue there are reasons to be optimistic that China’s rise will be peaceful. For most of the past 60 years, one party has ruled Japan. In August 2009, the Democratic Party of Japan finally ended the Liberal Democratic Party's stranglehold. It has since set about a sweeping reform of how Japan is governed and who benefits. 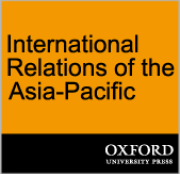 With the rise of China in recent decades, Australian academic Peter Van Ness argues, there are plenty of reasons why Japan not only remains highly relevant, but also can be seen as the pivotal power in Northeast Asia. US Ambassador Stephen Bosworth's recent visit to North Korea may herald a new, less confrontational approach by the administration of President Barack Obama to the regime in Pyongyang. Much of the debate about regional integration in Asia has focused on institutional frameworks that promote trade liberalization of an Asian community. Kanishka Jayasuriya argues that this approach misses the emergence of a new force for regionalism. As China moves to center stage in world politics, the works of Chinese philosopher Zhao Tingyang are provoking debate at home and abroad for their portrait of a Chinese-inspired new world order.